This is the first book to showcase the work of acclaimed ceramic artist Jennifer McCurdy. 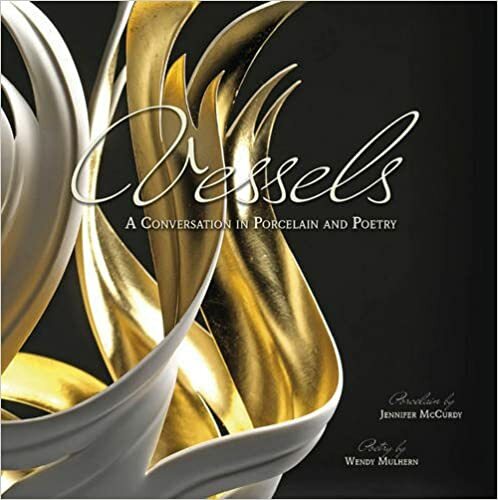 Collectors and art enthusiasts will be delighted to gaze at these luminescent forms, lyrically accompanied by the poetry of Jennifer’s sister, Wendy Mulhern. Dozens of color photographs, plus a section on evolution and process that’s illustrated with forty-five color images, clearly show the depth and brilliance of Jennifer’s work. In this collaboration Jennifer and Wendy celebrate art and how it holds things that can’t be contained in any other way. These vessels, of porcelain and poetry, resonate with each other, engaging an intimate conversation. The evolution and process section provides insight into both the internal process of artistry and the physical and temporal dedication essential to bringing forth a life’s body of work.